Donald Trump, the candidate for Republican nomination for President of US in the upcoming election, has got support from unlikely quarters. A section of Hindus has openly come forward and have expressed their support for the right-wing maverick. Surprisingly, a photograph depciting Trump as Hindu God is being used for the campaign. 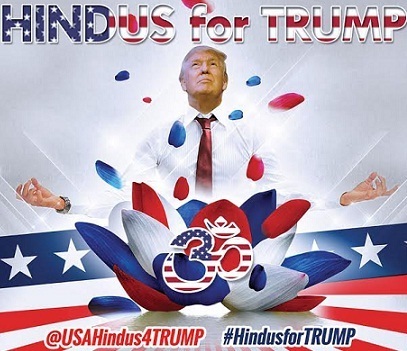 'Hindus for Trump' campaign has also been launched which is also visible on social media. They include hashtags like #HindusforTrump and the following twitter handle @USAHindus4Trump to push for his candidature. A political action committee (PAC) was registered with federal election commission early this year to support Trump. This PAC comprises wealthy Hindus. The Hindu immigrants influenced with Rashtriya Swayamsevak Sangh (RSS) ideology and support Narendra Modi, are mostly part of the campaign to push for Donald Trump. 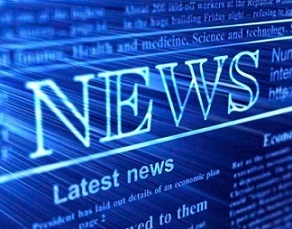 This has caught eyes as Trump, a businessman, is known for his strong right-wing views. He has said that people from China, Japan and Vietnam have been taking American jobs. Recently, he added India to list of the countries that are 'taking American jobs' in his views. Trump earlier also said that if he became President, he would ban entry of Musims in America. This statement evoked international condemnation. However, the group Hindus for Trump says that it supports him as people are fed up with the 'liberal, politically correct positions' taken by most leaders.